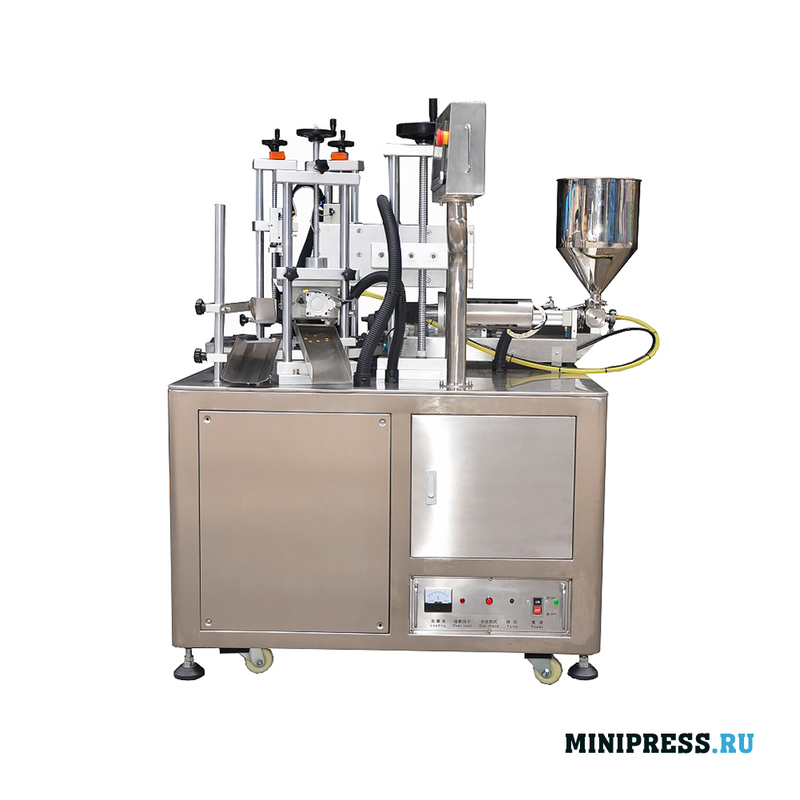 Каталог / Pharmaceutical Equipment / Archive by Category "Filling and sealing machines for tubes"
Semi-automatic ultrasonic machine for sealing the edges of plastic tubes in the pharmaceutical, food and cosmetic industries. 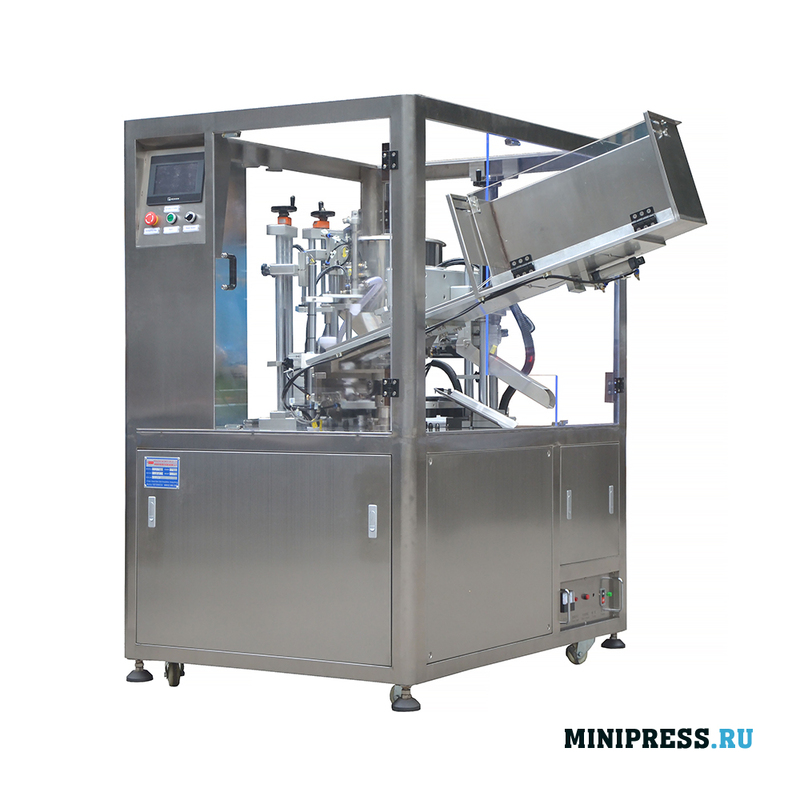 The production capacity is up to 8 — 15 tubes per minute. 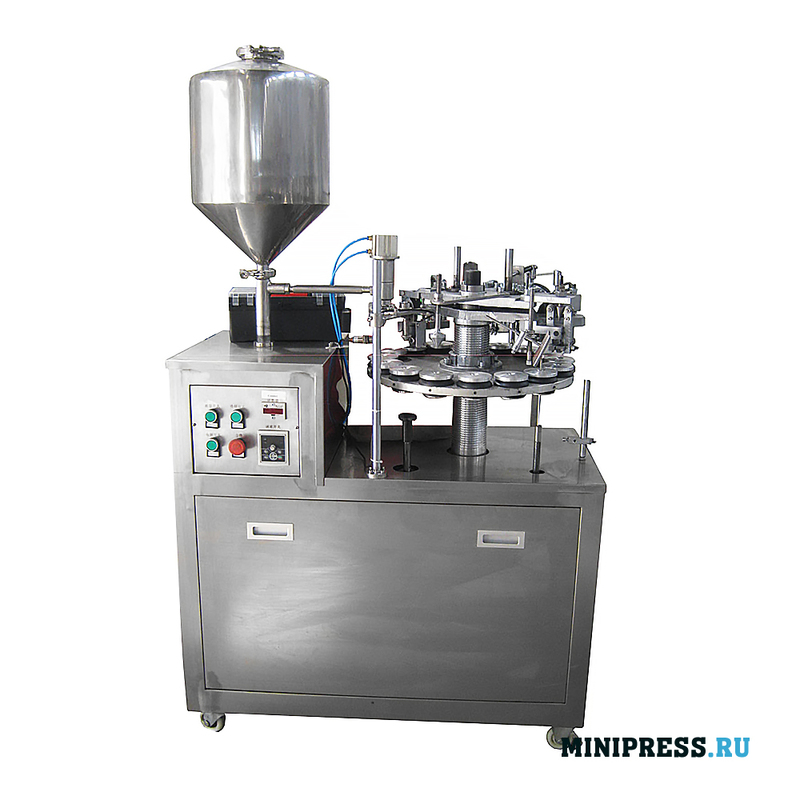 The diameter of the tubes used is 5-50 mm. 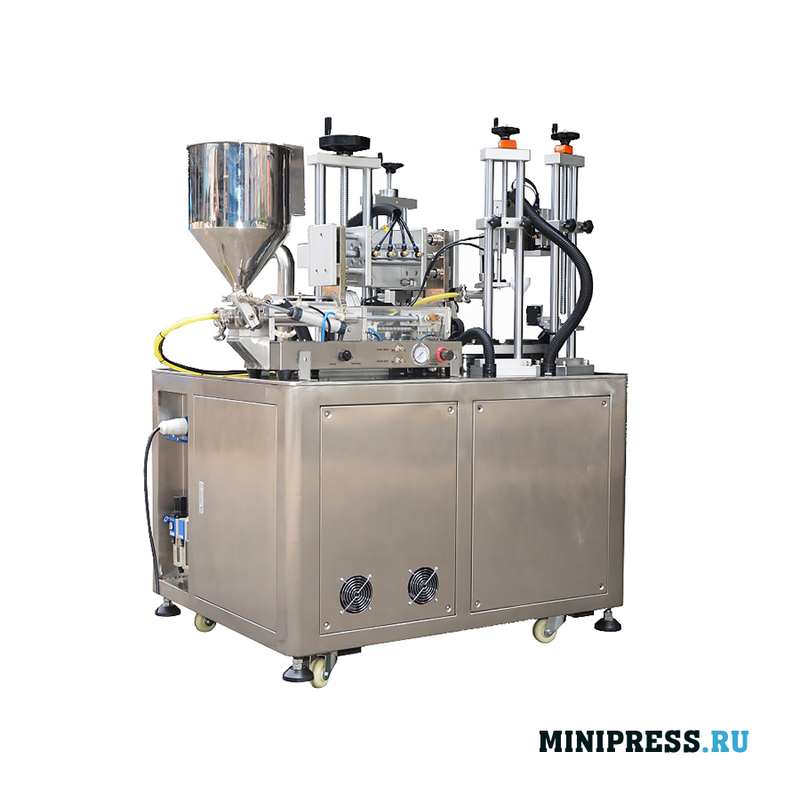 The maximum height of tubes is 200 mm. 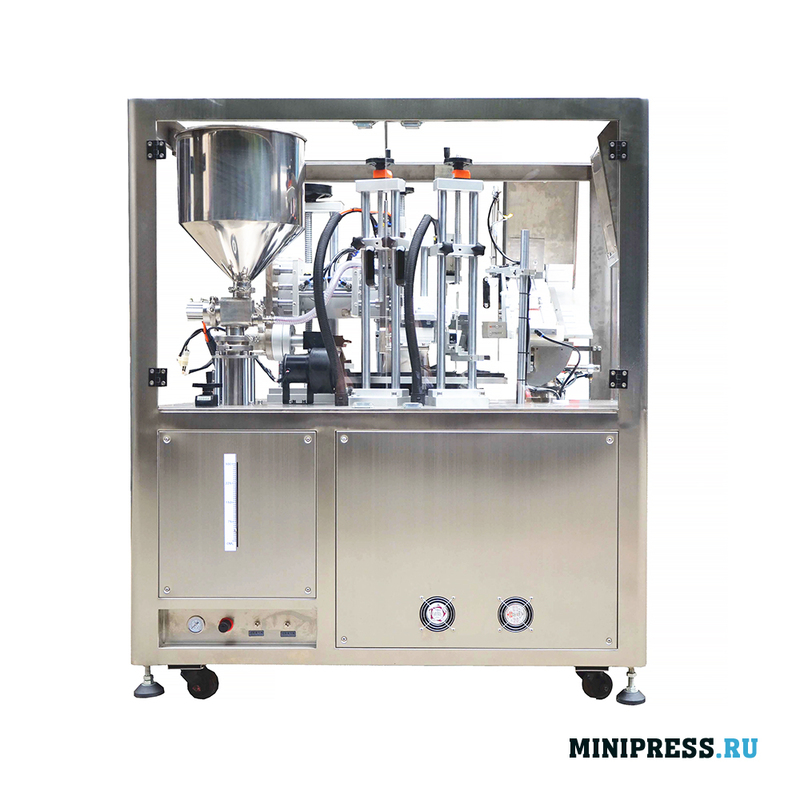 Ideal for research laboratories and pilot production. We provide a full range of services: installation, training, start-up, repair. Simple mechanical design. Instruction for use in English and Russian. 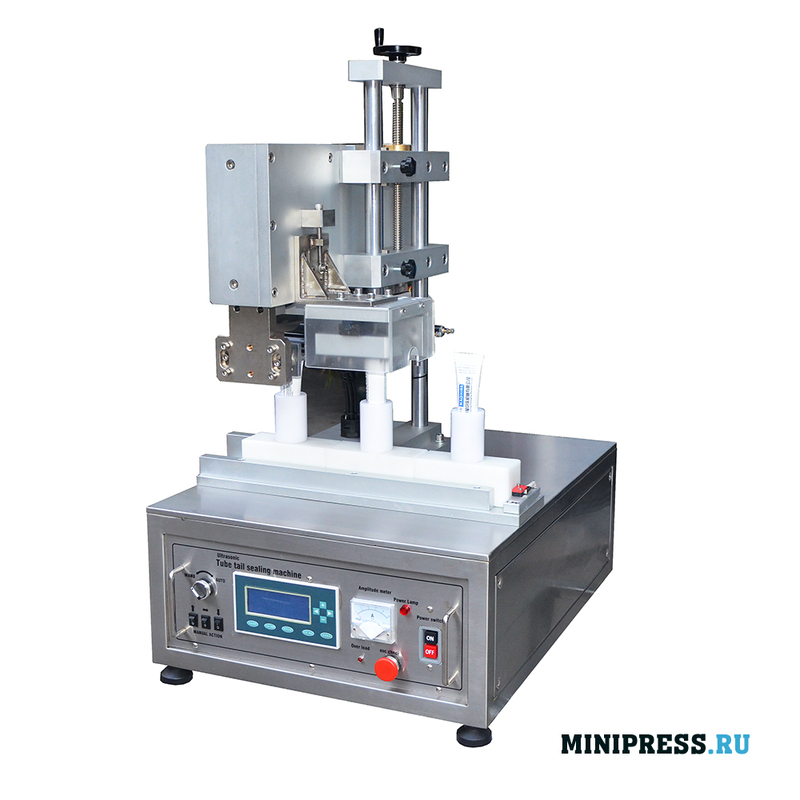 Semi-automatic ultrasonic machine for sealing the edges of plastic tubes in the pharmaceutical, food and cosmetic industries. 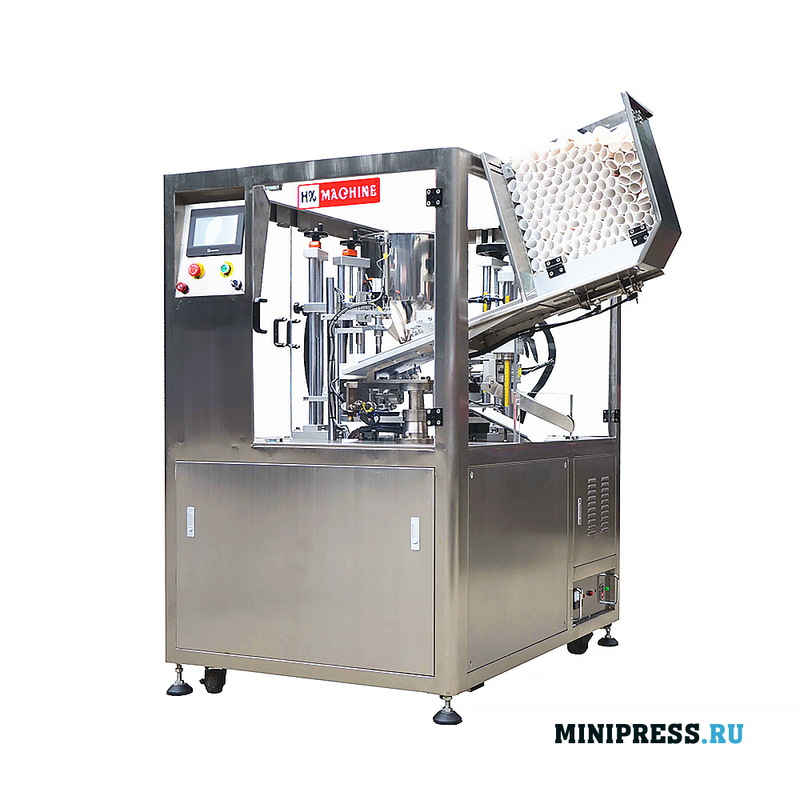 The production capacity is up to 8 — 15 tubes per minute. 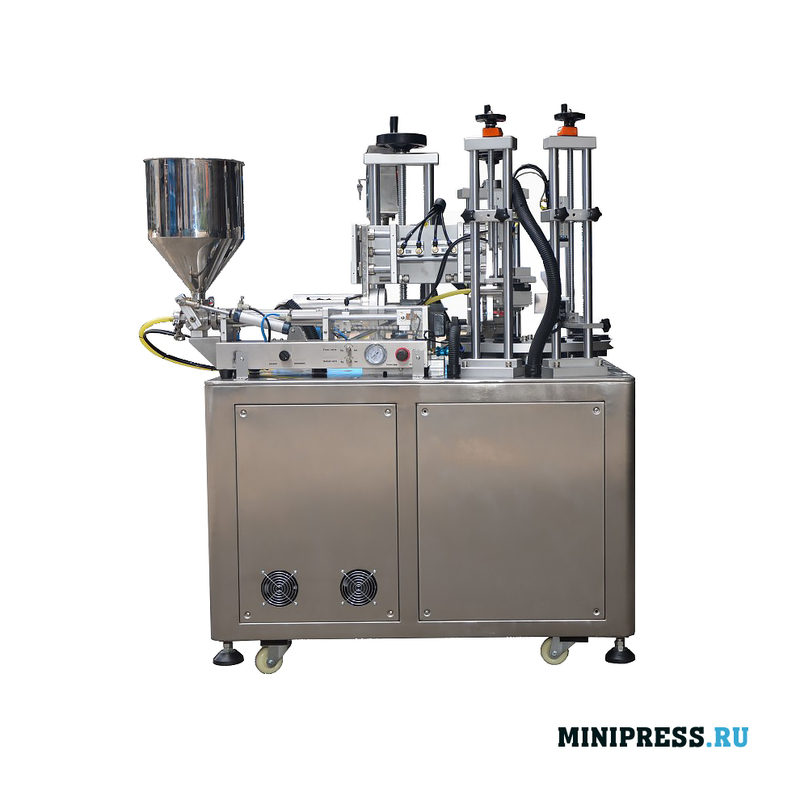 The diameter of the tubes used is 5-50 mm. The maximum height of tubes is 250 mm. 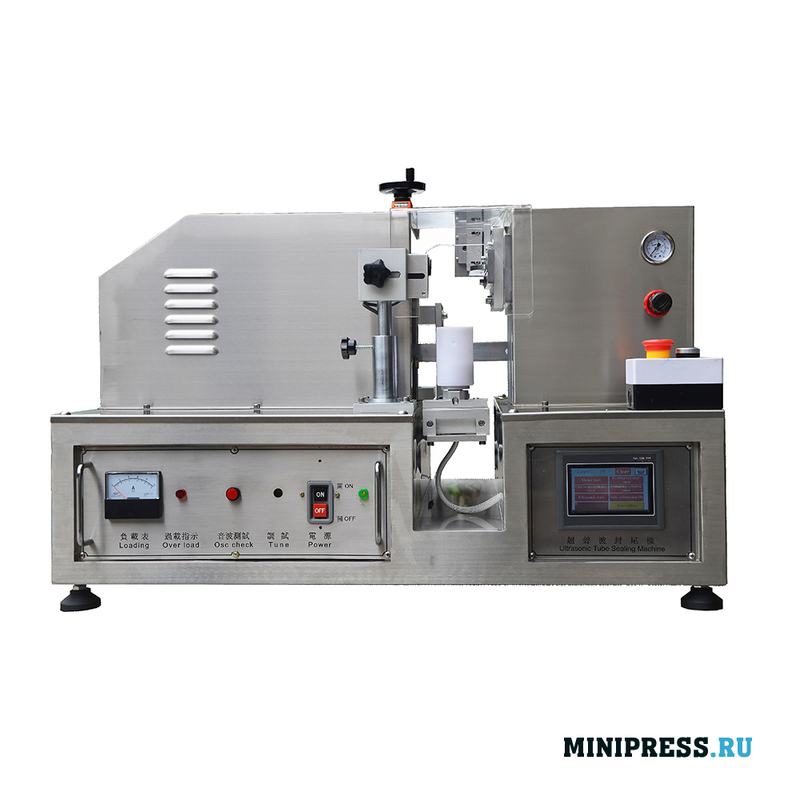 Ideal for research laboratories and pilot production. We provide a full range of services: installation, training, start-up, repair. Simple mechanical design. Instruction for use in English and Russian. 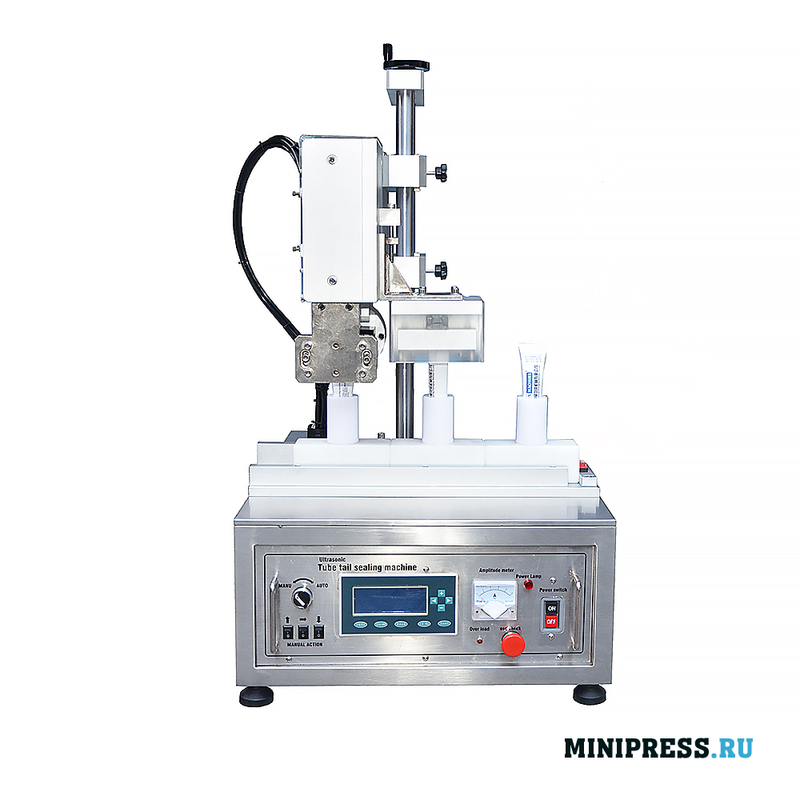 Semi-automatic ultrasonic machine for sealing the edges of plastic tubes in the pharmaceutical, food and cosmetic industries. 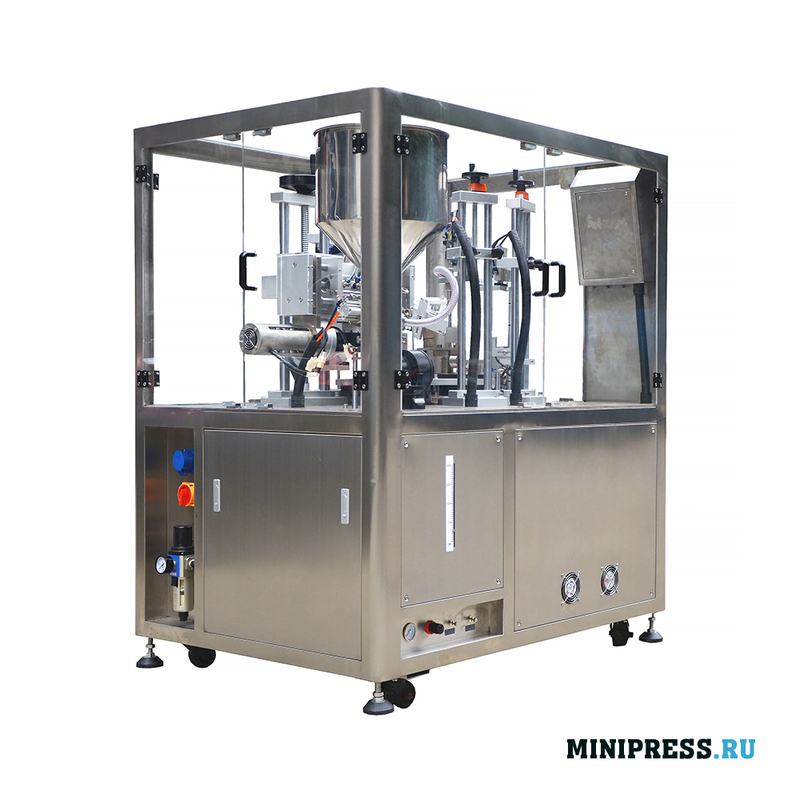 Manufacture up to 20 — 30 tubes per minute. 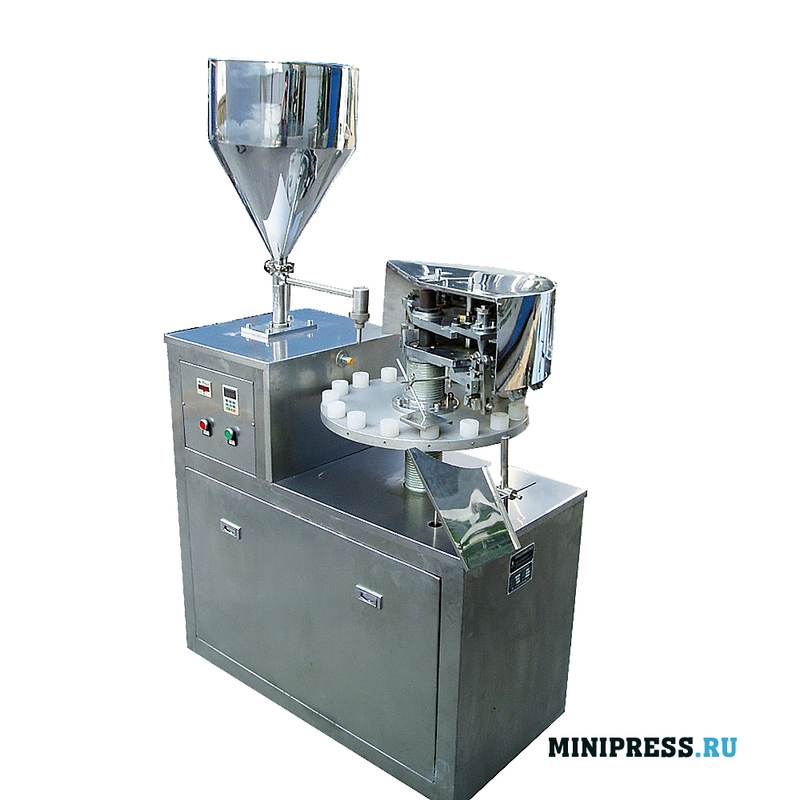 The diameter of the tubes used is 5-50 mm. The maximum height of tubes is 250 mm. 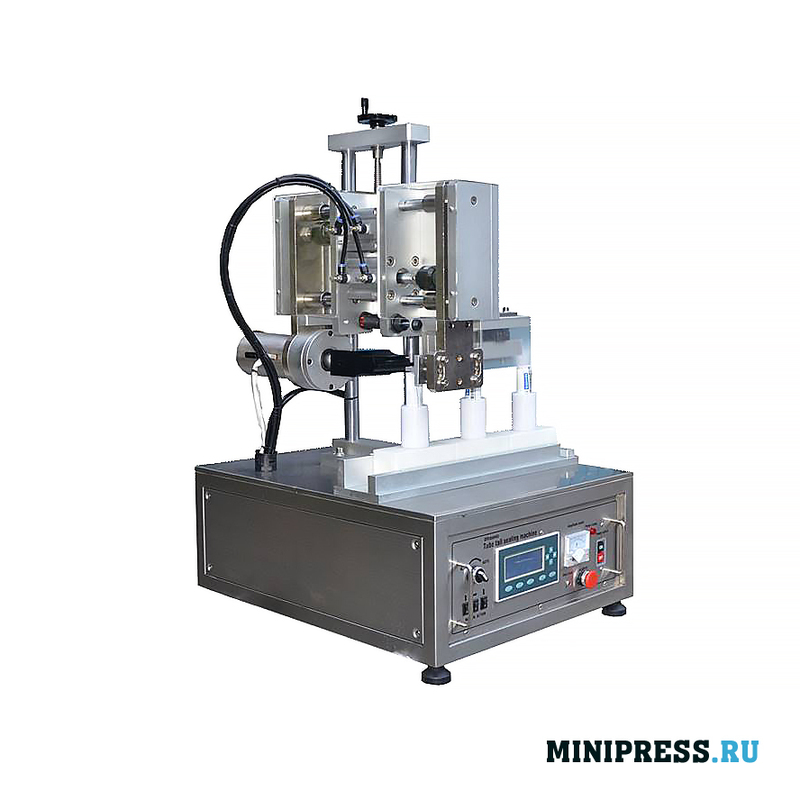 Ideal for research laboratories and pilot production. We provide a full range of services: installation, training, start-up, repair. Simple mechanical design. Instruction for use in English and Russian. 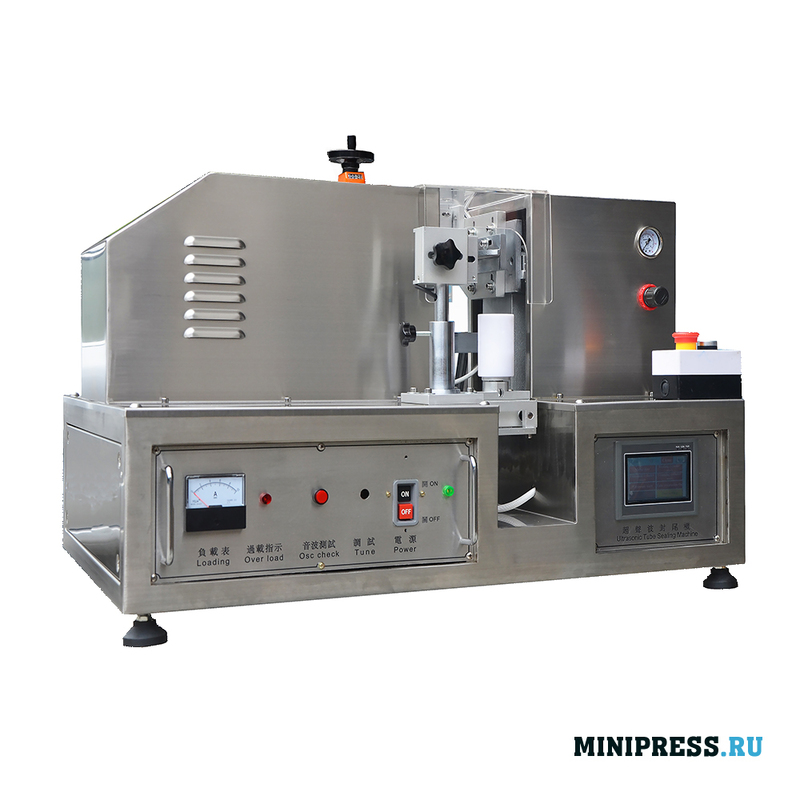 Automatic ultrasonic machine for sealing the edges of plastic tubes in the pharmaceutical, food and cosmetic industries. 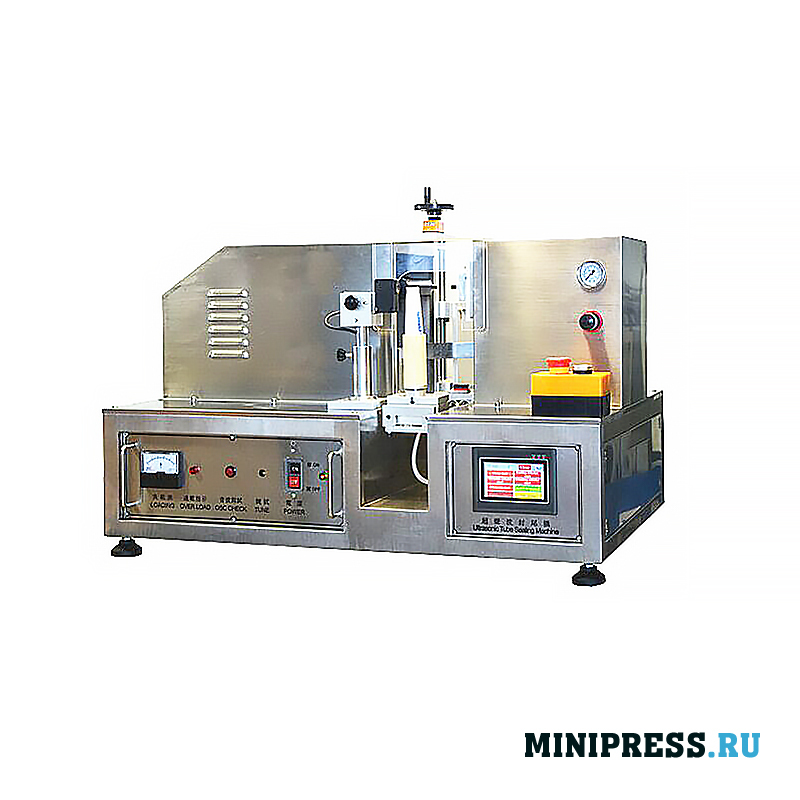 Manufacture up to 20 — 30 tubes per minute. 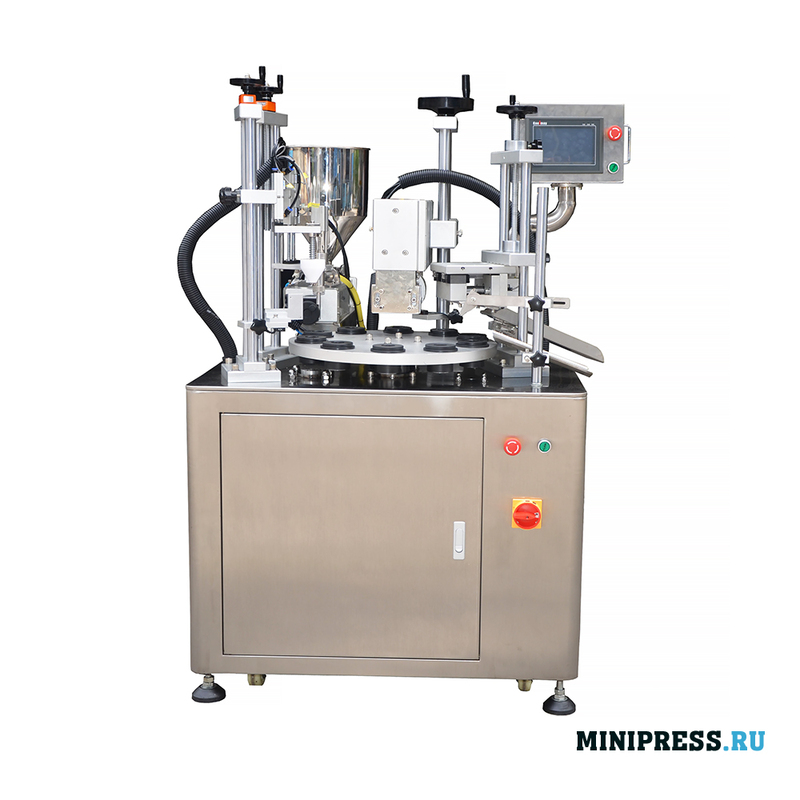 The diameter of the tubes is 5-50 mm. 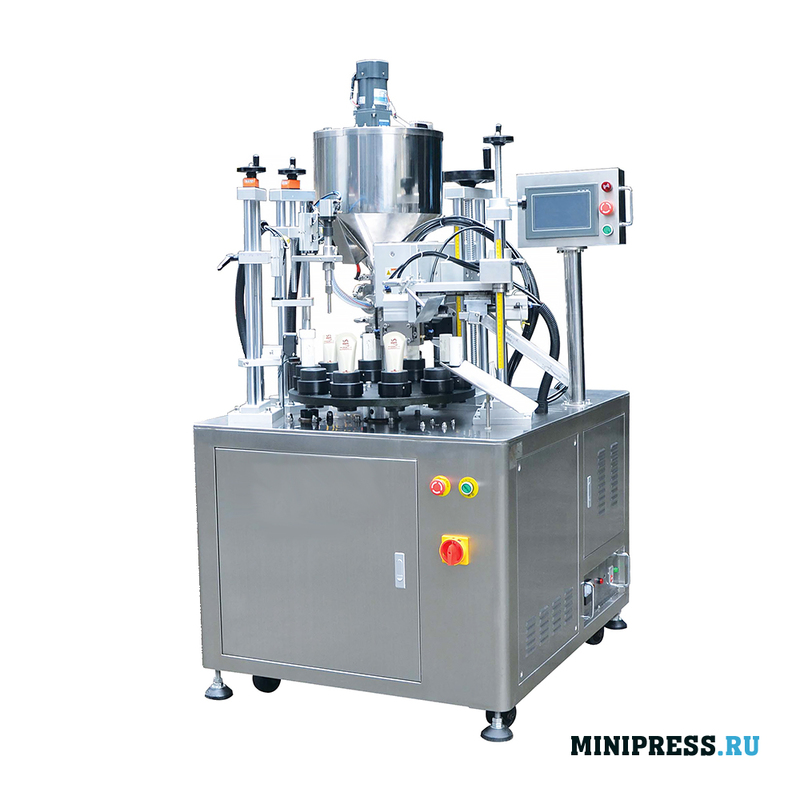 The maximum height of tubes is 200 mm. Ideal for pilot production. We provide a full range of services: installation, training, start-up, repair. Simple mechanical design. Instruction for use in English and Russian. 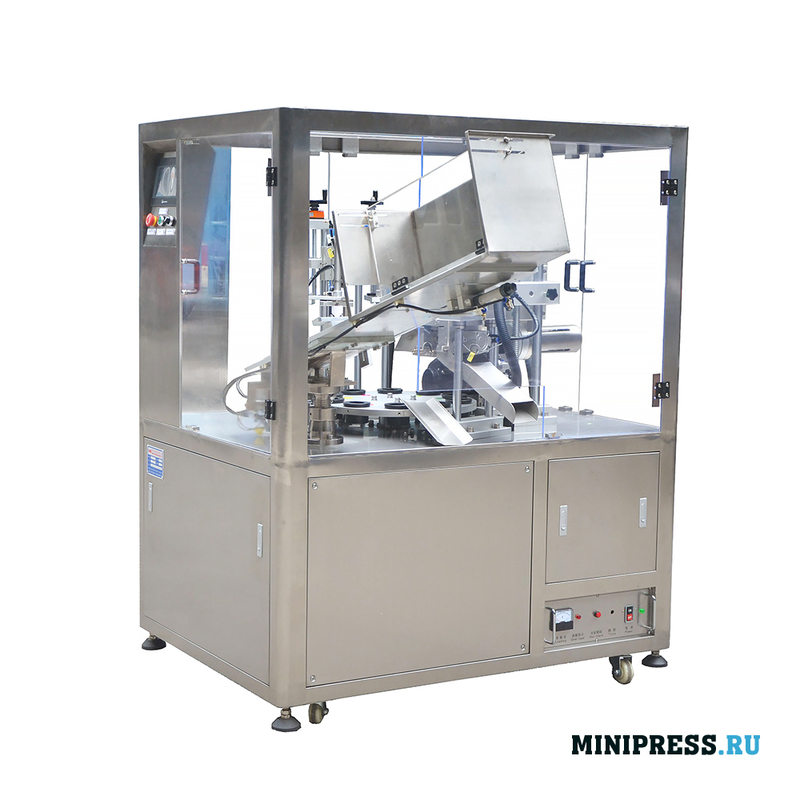 Suitable for industrial production. 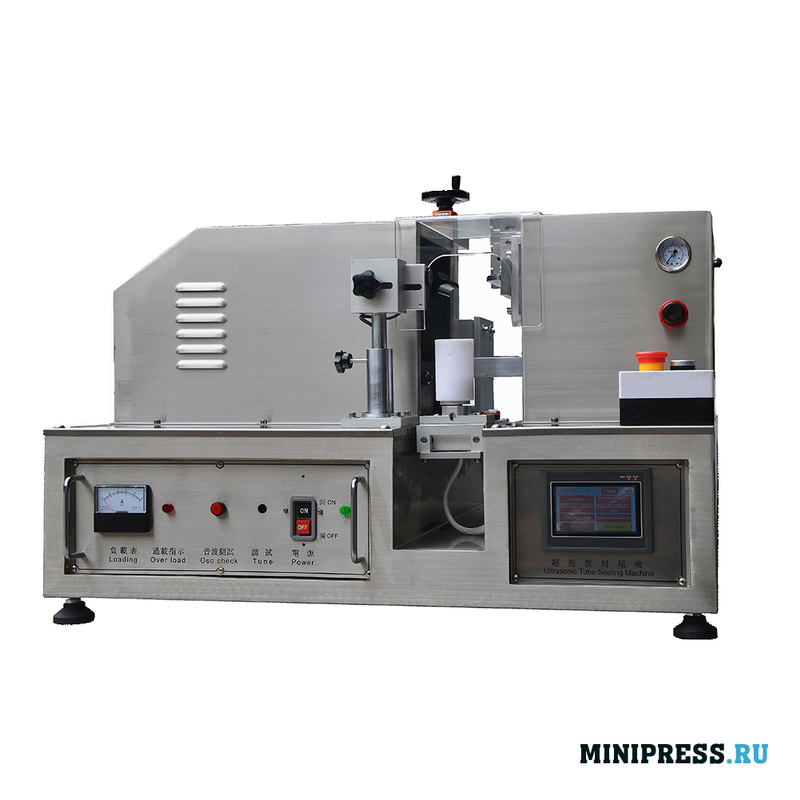 Semi-automatic mechanical machine for packing glue in aluminum tubes in pharmaceutical, food and cosmetic production. 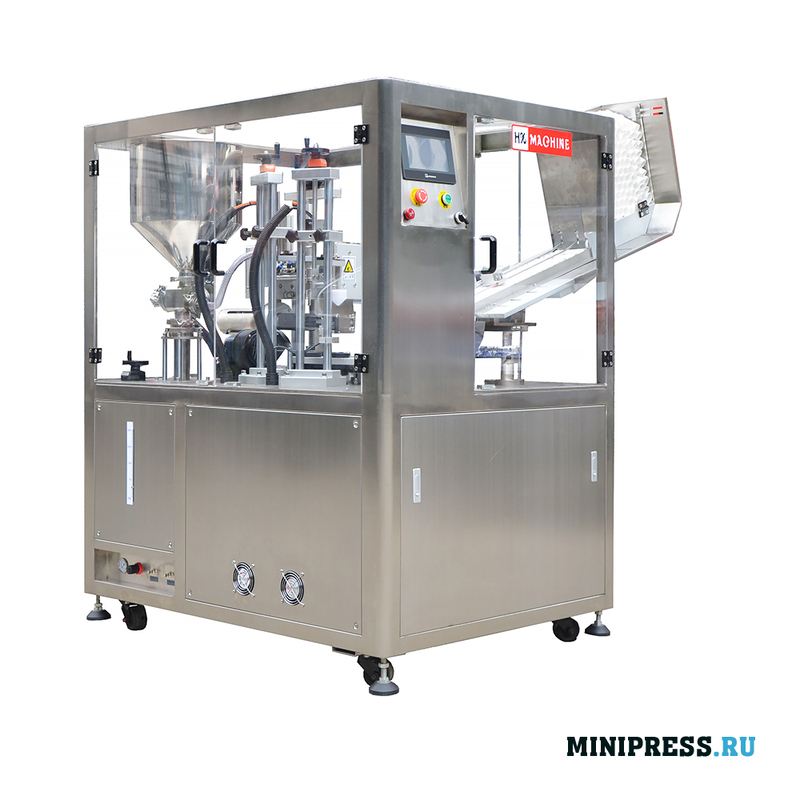 The capacity is up to 30 tubes per minute. 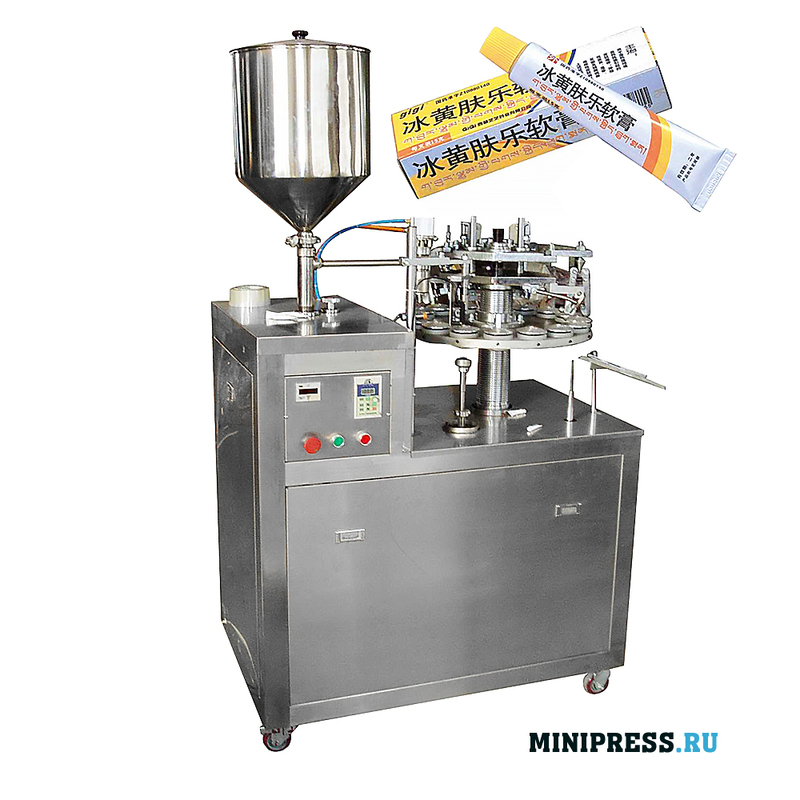 The diameter of the tubes used is 16-35 mm. 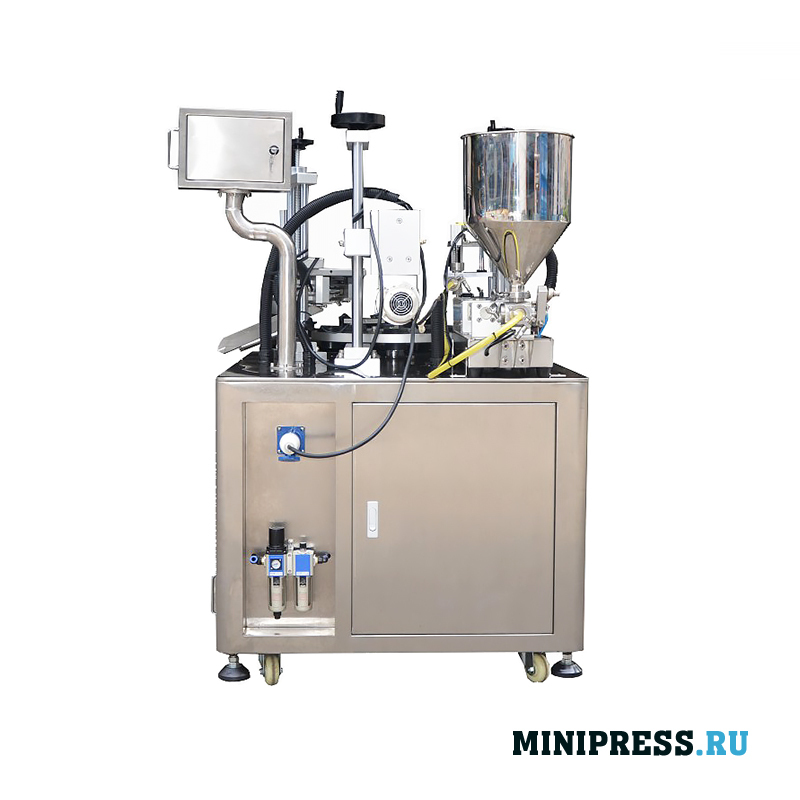 Ideal for research laboratories and pilot production. We provide a full range of services: installation, training, start-up, repair. Simple mechanical design. Weight 250 kg. Instruction for use in English and Russian.